"The only spot in Ohio for hiking, biking, camping, swimming, cliff diving, snorkeling, scuba diving, sunbathing, fishing, food vending, full-court basketball, sand volleyball, MUSIC FESTIVALS, arts and crafts, and more!" The only spot in Ohio for hiking, biking, camping, swimming, cliff diving, snorkeling, scuba diving, sunbathing, fishing, food vending, full-court basketball, sand volleyball, MUSIC FESTIVALS, arts and crafts, and more!" Come Enjoy NLQP’s Beautiful 250 Acre Forest!! The campground is 250 acres of forest, meadows, rock formations and water. There are two fishing lakes in addition to the swimming quarry. The fishing lakes are home to large bass, catfish, crappie and blue gill. You may also find many waterfowl and smaller animals like turtles, frogs, nonpoisonous snakes, and other small fresh water species. 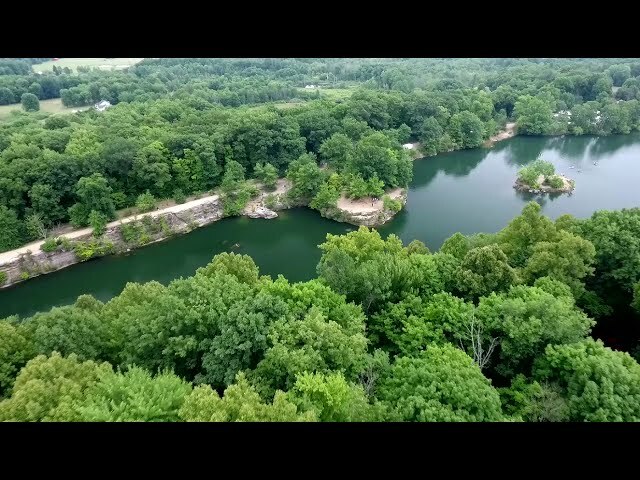 Nelson Ledges Quarry Park’s AERATION SYSTEM PRODUCES THE CLEAREST CONDITIONS EVER! Nelson Ledges Quarry Park hosts close to a dozen music festivals each year! NLQP is home to EarlyBird Festival, Pyro De Mayo, Spring Hookah, Spring Badfish, Classic Music Festival, Freedom Fest, and Grateful Fest. We offer one of the most uniques and beautiful places on earth to enjoy live music. Come Join Us! © 2017 Nelson Ledges Quarry Park. Home Page Video By: Justin Guffey. Home Music By: Rusted Root. All Rights Reserved.